Manufacturer & Exporter of Air Purifier. Our product range also comprises of Cleanroom Validation Equipment, Measuring Equipment and Particle Counters. 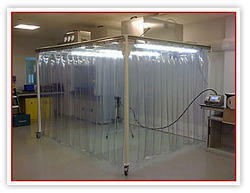 We are engaged in providing an extensive series of Soft Wall Clean Room. 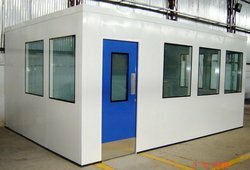 Our manufactured soft wall clean room is perfect to make a good comfortable environment in the space to be ventilated. These products are developed under the headship of dexterous professionals in compliance with universal guidelines. These products are extensively used in commercial places owing to their top features. Our products are available in varied specifications and at nominal price. With the assist of well-ordered manufacturing unit, our organization is capable to offer Clean Room in diverse technical specifications. A clean room is an environment, usually employed in engineering or scientific research that has a low level of environmental pollutants such as airborne microbes, dust, particles, aerosol and chemical vapors. Our presented product is extremely applauded due to their top features.